KiwiCo | Exclusive offer for @nikkidockery followers! Monthly deliveries to inspire kids to be scientists, creators, and innovators! Everything needed to create, explore, and learn—delivered. Know someone who would love KiwiCo? Share the gift of learning with others! Exclusive offer for @nikkidockery followers! *You will be automatically enrolled in a monthly subscription and can cancel at any time. The 1st month is free except for $4.95 shipping in the US and $9.95 shipping outside of the US. Subsequent months are $19.95 plus free shipping in the US and standard shipping outside of the US. One free trial per household on a brand that has not been delivered to the household. We offer projects for every age and interest! Choose your plan and the first crate ships in 2 days. Pause or cancel anytime. Our science and art projects inspire kids to become creative problem solvers. Select the line that’s right for your kid. We have options for all ages and interests! Choose the plan you’d like. Cancel anytime. Enriching science and art projects delivered monthly. Everything we produce is designed by experts and tested by kids. We're a team of educators, makers, engineers, and rocket scientists (yes, for real). And we're passionate about what we do. 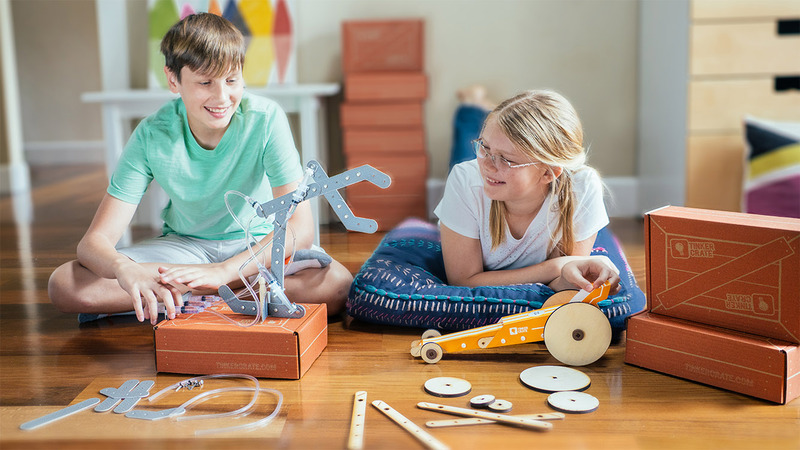 We're constantly brainstorming and thinking up ideas for the coolest things kids can build and learn about. We spend over 1000 hours designing and testing every single crate. Over 10 Million Crates of Fun... And Counting! Check out #KiwiCo for tons more amazing creativity and serious fun.